Dreams Casino is known as the place where dreams come true, and it’s tough to argue that point. Offering a full selection of exciting casino games, lucrative promotional deals and attentive customer support, Dreams is consistently near the top of the charts when looking at the online casino industry. Once you take a look at Dreams’ games list, you’ll understand why so many people enjoy online gaming at this casino. If you run into questions or concerns, their dedicated customer support team is just the thing for addressing issues. Customer service is available 24 hours a day with Dreams, and you can contact the team via fax, email, live chat or telephone. If you’re in the market for a casino that provides exceptional customer service, a constantly updated games list and a bevy of awesome promotions every month, Dreams could be just the site that you’ve been, well, dreaming of. The selection of games available at Dreams Casino is difficult to top. In total, the casino offers more than 150 titles, many developed by the professional at Realtime Gaming, a trusted leader in online game development. Realtime Gaming is well regarded throughout the industry for its stunning graphics, exciting sound effects and seamless gameplay. For players at Dreams Casino, these benefits are extremely clear. With more than 150 games to choose from, players are free to test their luck on classic three reel machines or modern video slots. Titles such as Cleopatra’s Gold, Cash Bandits and Ghost Ship headline an extensive list of exciting options. Every game at Dreams offers unique rules designed to appeal to the player’s preferences. Whether you prefer free spins or exciting features, this casino has a game to fit your need. If players are in the market for another type of game, Dreams has them covered. 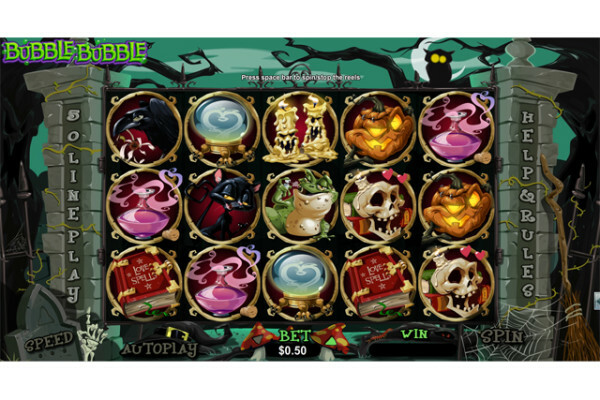 The casino offers a variety of other titles in order to keep the play fresh and exciting for months to come. Blackjack, roulette and video poker are available, along with more obscure choices that aren’t present in lesser casinos. As a member of Dreams Casino, players can enjoy a host of arcade games and scratch cards as well. Keno, video poker and craps are just a preview of the possibilities presented by this extensive games library. For added convenience, Dreams offers games in both downloadable and flash formats, allowing players to enjoy the casino experience from a number of devices. New players at Dreams Casino are treated to an amazing promotional offer that can mean up to $2,000 in additional playing power on their first deposit. This 200 percent bonus deal can be used on any deposit of $50 or more to get the good times off to a great start. Dreams Casino doesn’t just treat new players, however, it also offers amazing deals to loyal members. After using the 200 percent signup bonus, Dreams offers a second 200 percent redeposit bonus, making its promotional deals among the best in the industry. For even better offers, players should look into becoming a VIP at Dreams Casino. VIP members are treated to the very best deals each month, setting themselves up for plenty of big wins. If big time bonuses are a key factor when selecting an online casino, players won’t do any better than those on offer at Dreams Casino. Players can safely deposit funds into their accounts through a collection of trusted, secure methods. Visa and MasterCard credit and debit cards are always accepted for instant funding, opening the door for players to get the gaming fun in no time flat. Dreams Casino also accepts deposits via Neteller for select players. Neteller is a fast and secure deposit service that’s available without any additional charges or fees. No matter which deposit method players choose, getting started is easy with Dreams Casino. Withdrawing winnings is just as simple as making a deposit. Players just need to navigate to the cashier page and select withdraw money to get started. Cash deposits, Neteller, check, Click2Pay and wire transfer are among the most popular options for withdrawing funds. For more information on these methods, as well as the restrictions and fees associated with them, players should contact the Dreams Casino customer support team.